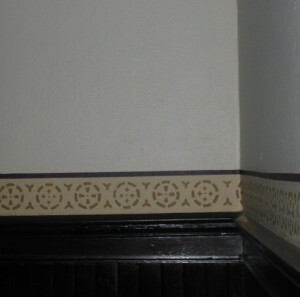 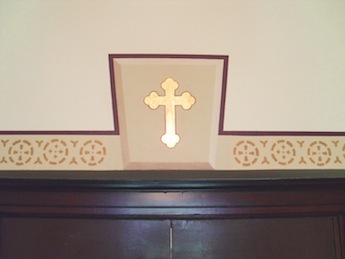 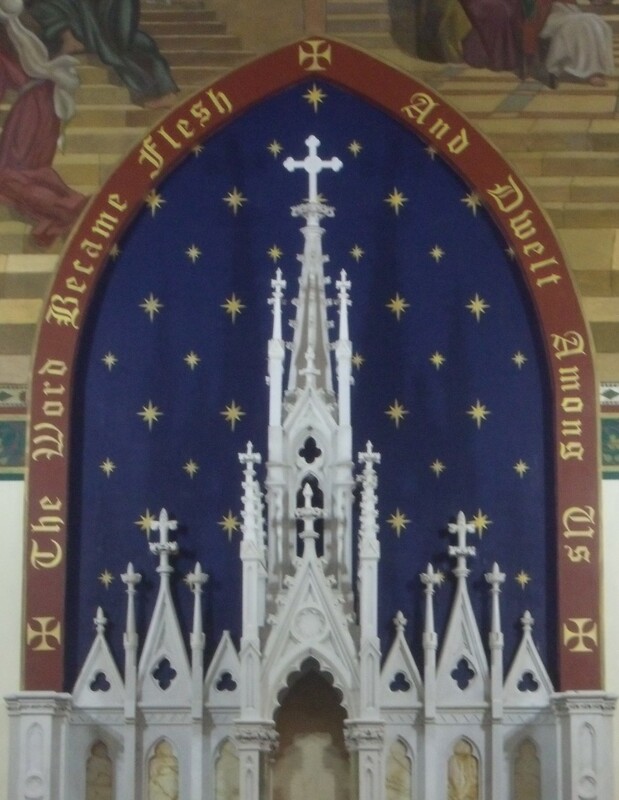 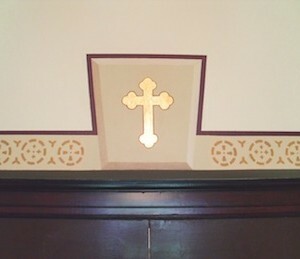 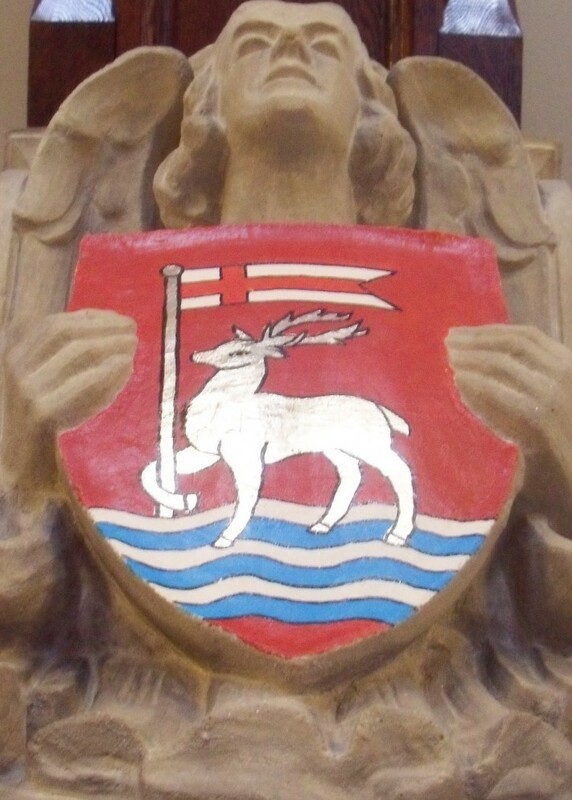 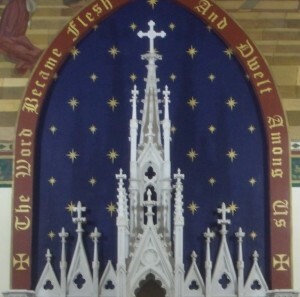 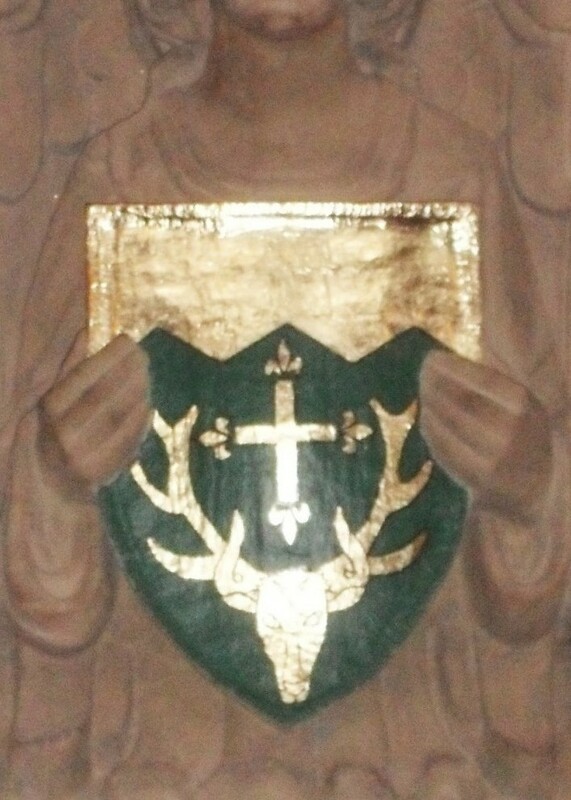 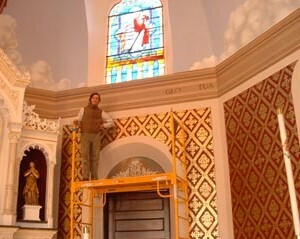 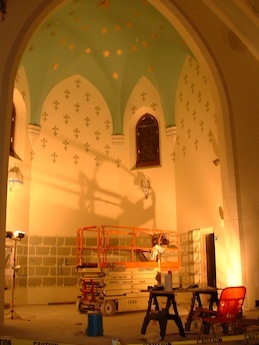 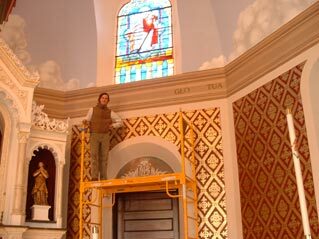 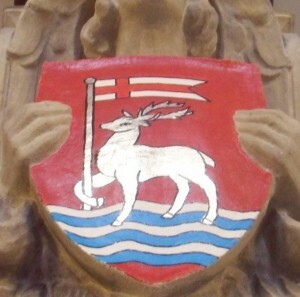 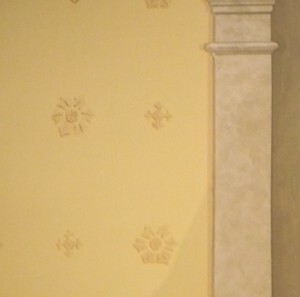 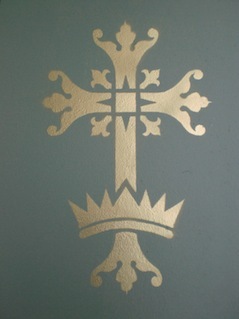 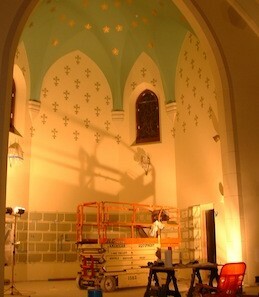 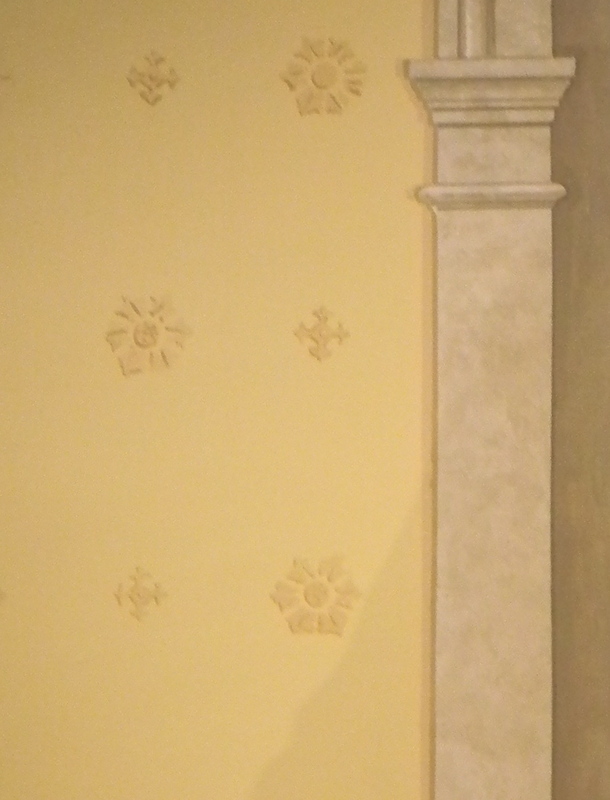 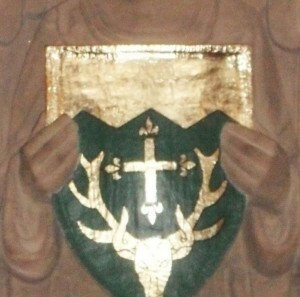 Stenciling is used extensively in church interiors. 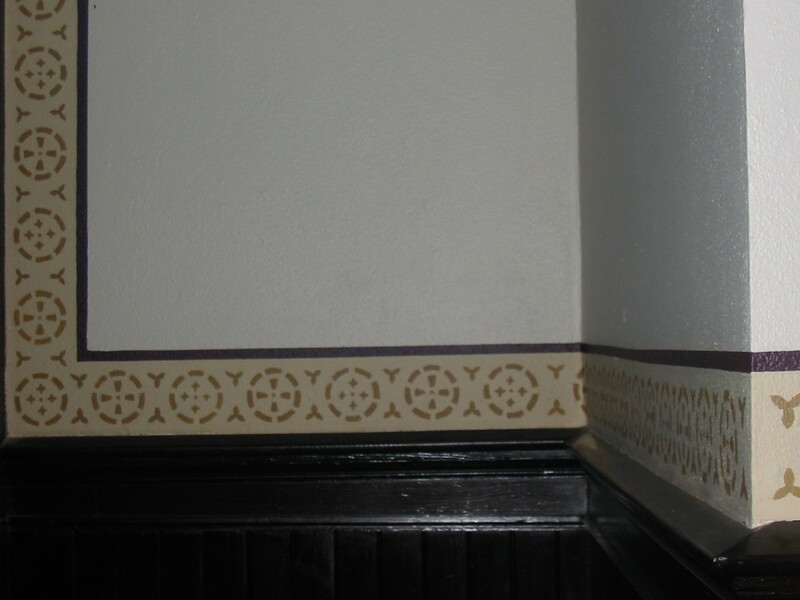 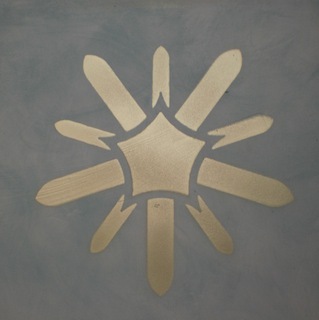 Wall and border stencils are designed and hand-cut for each project. 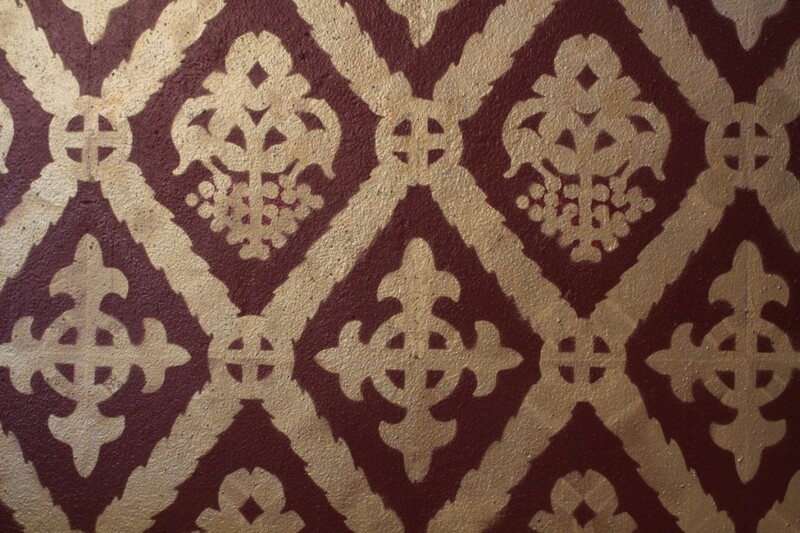 The stencils are placed with mathematical precision to create the illusion of wallpaper or of a brocade wall-covering.